At the end of last year, we took stock of trends in the nonprofit sector in 2017 and made some predictions about 2018. One prediction read, “Giving for current needs will be depressed next year compared to 2017’s numbers due to a predicted surge in donor-advised fund giving at the end of 2017, as well as a similar surge in direct donations in response to new charitable tax deduction regulations.” An article and interview posted on the website of the University of Arkansas at Little Rock’s radio station may point to that prediction coming true for at least portions of the nonprofit sector this year. Three foundations in Arkansas commissioned Communities Unlimited to study nonprofit organizations in that state to determine what their capacity needs were. They were asked what problems they face and what they’d need to grow stronger and more effective. Not surprisingly, the main challenges nonprofits cited are funding and fundraising: based on the results of the survey, in Arkansas, donations are down. Sarah Kinsler, chief program officer of the Arkansas Community Foundation, one of the study’s sponsors, remarks that after surveying 441 nonprofits and interviewing 75 from among them, a common theme was a lack of fundraising support. Nonprofits strapped for funds have to direct all their money to programming, which means they don’t have the capacity to invest as much as they need to toward staff development, infrastructure, and communications. The IRS lists 14,500 charitable organizations in Arkansas. While no specific statistics are offered in the KUAR article or interview to prove there’s been a drop in donations, a quick scan of a few Form 990s on GuideStar shows mixed results. For some organizations, giving has held steady (Boys and Girls Club of Silvan Springs and Planned Parenthood of Arkansas and Eastern Oklahoma, for example) while for others it has even been slightly increasing (Arkansas Community Foundation and the Humane Society of North Central Arkansas). On the other hand, some have seen a decrease, including the United Way of the Fort Smith Area, which decreased from $1.9 million in donations in 2015 to $1.59 million in 2017. The United Way of Northwest Arkansas reported a precipitous fall, dropping from $18.1 million in 2015 and $21.8 million in 2016 to $6.9 million the following year. One reason for this reported decrease in charitable giving is that the number of donors in Arkansas is decreasing. In a recent NPQ article on this topic, Dr. Patrick Rooney indicated that although individual giving in dollar terms was increasing year over year, the number of households giving was declining while the dollar value of gifts from high-end givers was increasing. This trend is likely to hit some fields and regions harder than others. Kinsler cites similar statistics when discussing the Arkansas survey, but explains it as a consequence of decreasing population in some portions of the state. A map of the 2017 census suggests this may be true, with the population decreasing in 50 of the state’s 75 counties since 2010. Kinsler also suggests that in a weak economy, people tend to be less generous. 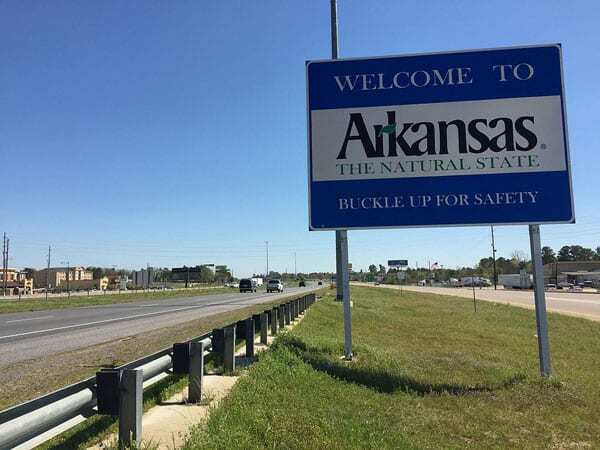 At least some reports contradict this, suggesting that the economy in much of Arkansas remains fairly strong, but of course, other indicators, like recent dips in the stock market, are reason enough for people to grow nervous.